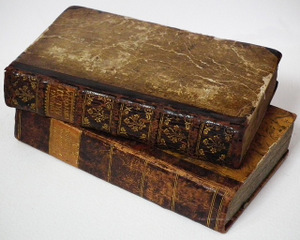 The imperfect subjunctive is a literary verb form, meaning that it’s reserved for formal, written French – mainly literature, but also history and journalism. It’s used in subjunctive-requiring subordinate clauses in the past. In spoken French, the imperfect subjunctive is equivalent to the present subjunctive or past subjunctive, shown here (in parentheses). Je craignais qu’il fût mort. (Je craignais qu’il soit mort.) I feared he was dead. Elle voyagea quoiqu’elle n’eût point d’argent. (Elle a voyagé quoiqu’elle n’ait pas eu d’argent.) She traveled even though she didn’t have any money. 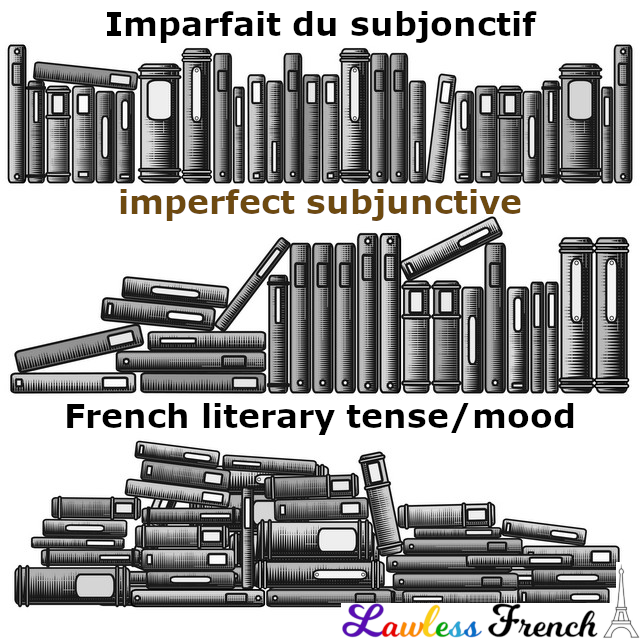 Because it’s literary, you don’t need to be able to conjugate the imperfect subjunctive, but you should learn to recognize it, especially if you read classic French literature and poetry. All -er verbs, including stem-changing verbs and aller, use the il form of the passé simple as the stem. Because this conjugation ends in a, spelling change verbs require their spelling changes in all conjugations. The imperfect subjunctive stem of all -ir verbs – regular and irregular – is the il form of the passé simple minus the final t.
Again, the imperfect subjunctive stem of all -re verbs is the il form of the passé simple minus the final t.